But that is just one example, and the tip of the iceberg, when it comes to how the parties can use mediation to make their divorce agreement personalized to the needs of the family. Spouses can make agreements about anything, ranging from who gets what furniture to who gets to stay in the house, and how it will be split up later. One of the ways that you can best prepare to best use your time with the mediator is to have a list of your biggest priorities for moving forward, so that you can not only make sure that you maintain what you feel is important, but also so you can recognize issues that you are willing to compromise. The next is to have an experienced family attorney both on your side, and at your side, when you are deciding how the future will look for you and your children. 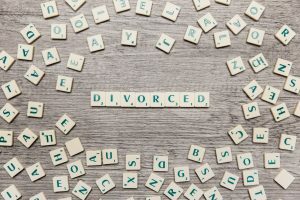 In our many years of family law experience at Wood, Atter, & Wolf, P.A., the family law attorneys have seen how mediation can be an amazing tool for any couple getting divorced by working together to settle these issues, and move forward in their new roles as co-parents and former spouses with a more defined plan for a bright future.